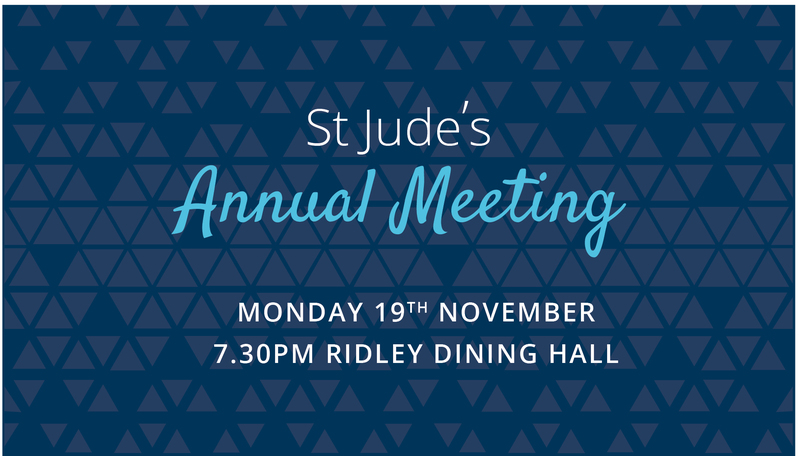 The St Jude’s Annual Meeting will be held on Monday 19th of November at 7:30pm at the Ridley Dining Hall. To fully participate in the meeting you need to be a member on the St Jude’s electoral roll. To apply to become a member on the electoral roll, please click here and complete the form by 7th of November 2018.